Now, more than ever, there are consequences whenever anything has happened that could cause immigration officials to think you committed a criminal offense in the US. Whether you are permanently living in the United States on a green card or here on a temporary visa, an arrest can have potentially serious consequences on your immigration status. Visa renovation. Under the Department of State’s visa revocation program, the U.S. embassy or consulate that issued your nonimmigrant visa is empowered to revoke your visa upon your arrest in the United States. This revocation can happen while you are in the United States or abroad. Once revoked, should you wish to travel to the United States, you must apply for a new visa and at your interview convince the consular officer that you merit a new visa. The most important factor in the officer’s decision will be the outcome of your criminal case. Denied admission. 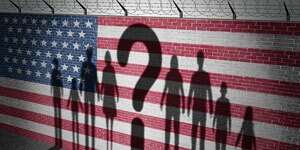 When a person is arrested by federal, state or local law enforcement, the information about that arrest is provided to Customs and Border Protection (CBP). Should you travel following your arrest, the CBP inspector will likely see the arrest information in the CBP computers during inspection. Depending on the nature of the arrest and the status of the criminal case, CBP may detain you at that airport and, in some cases, commence expedited removal against you. How you answer the inspector’s questions and what documents you present will play an important role in whether you are permitted to enter the country or not. Removal. Certain categories of criminal convictions trigger the removal (deportation) provisions of the Immigration and Nationality Act. 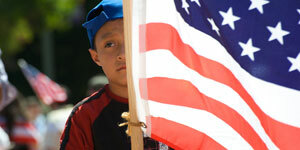 All non-citizens physically in the United State are subject to removal proceedings. 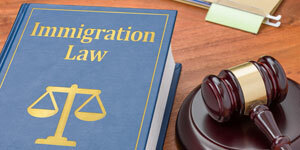 In most cases a conviction is required in order to trigger removal, so it is vital that after you are arrested you carefully review your options with an experienced immigration attorney. Steps you can take. If you’re not a US citizen and you’ve been accused of a crime, the first thing you should do is get proper legal representation. Ideally, this should be both an experienced criminal defense attorney and an immigration attorney. Next, make sure you fight for the best outcome possible in criminal court. Then, you should obtain proper certified documentation regarding what you were accused of along with letters from your criminal and immigration attorney. Finally, you should be prepared to handle any questions at the US border or on any immigration forms in a way that places you in the best position possible. 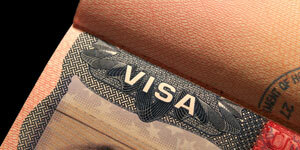 An experienced criminal and immigration attorney can help with these steps. Contact us before your date in court. If your criminal case is resolved, contact us for help in getting proper advice and documentation. © Copyright 2017 New York City Immigration Attorney - Jones Fletcher, P.A.